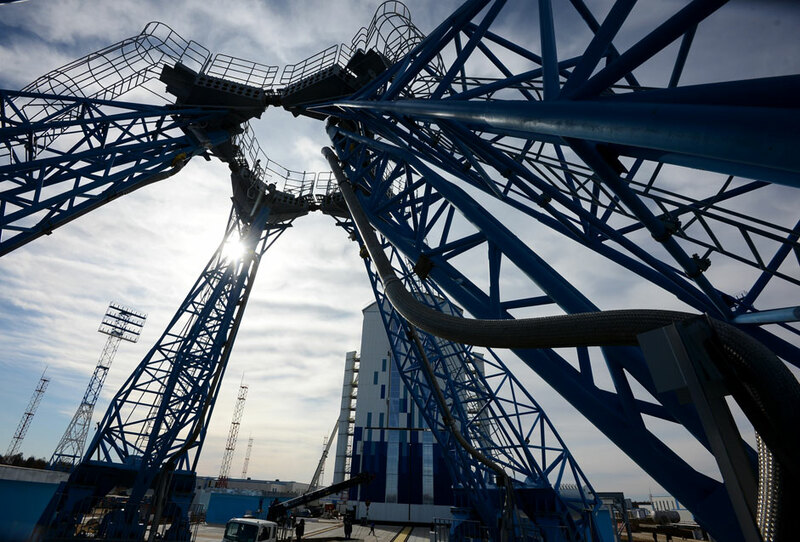 Launch pad at the new Vostochny Cosmodrome. The project for creating Russia’s super-heavy space rocket and launch pad for it will cost approximately 1.5 trillion rubles ($23 billion), the first deputy CEO of the state-run corporation Roscosmos, Aleksandr Ivanov, said on Nov. 29. "The costs of creating a super-heavy rocket in combination with the launch pad are estimated at 1.5 trillion rubles," Ivanov told the research conference Cosmonautics in the 21st Century. "We are not going to make a super-heavy rocket right away, though, because nobody needs it for the time being. We’ve opted for a step-by-step solution. First we’ll make a medium class rocket - called Feniks (Phoenix).